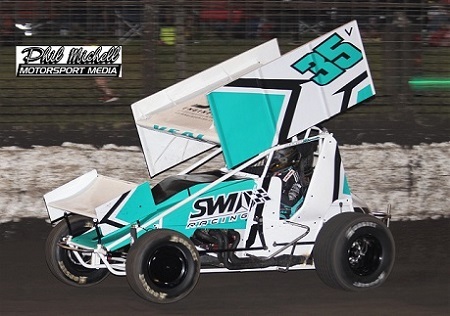 While Alex Williams has only contested a handful of race meetings so far in what is his first full season in Limited Sprintcars, that hasn’t stopped him from experiencing success by claiming his maiden feature-race victory at the Perth Motorplex over the Christmas-New Year period. Stepping into the class last season and completing half-a-dozen shows, Williams added multiple achievements to his resume, picking up number of heat-race wins and minor podium feature-race finishes, along with placing fourth in the Limited Sprintcar Association of WA Series point score and second in the Perth Motorplex Track Championship. 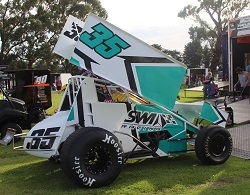 However, having now gotten his introduction to Limited Sprintcars out of the way, the 24-year-old’s run this season has seen him go to another level, with a standout performance at the Perth Motorplex over the Christmas-New Year period delivering him with his maiden feature-race win. Qualifying on the outside of the front row for the 20-lap feature race, Williams wasted no time, immediately moving into second off the start and then setting his sights on the leader, whom he eventually pipped on lap seven to take his place out in front. 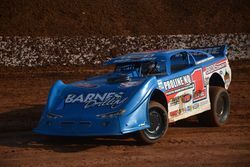 Backing up his front-running form just a couple of nights later at Bunbury Speedway, Williams was able to continue his front-running form, rounding out the podium in third place. 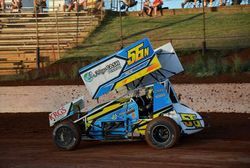 His consistency so far this season also has him occupying the runner-up spot in the current Limited Sprintcar Association of WA Series point score. 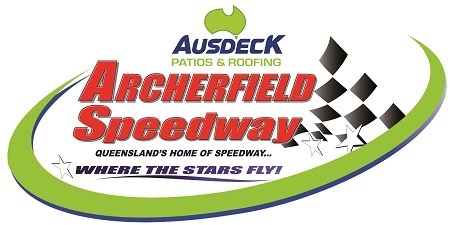 “We’ve picked up so much knowledge and experience since stepping into Limited Sprintcars so to put that all into practice and have it pay off like it did at the Perth Motorplex is really special,” expressed Williams, who had three-time World Speedway Champion Tai Woffinden follow him home in second. Spending six seasons in Junior Sedans, three seasons in Production Sedans and two seasons in Street Stocks, Williams’s speedway background was solely in sedans, but when the opportunity came to join the open-wheel ranks, he was more than eager to pursue it. 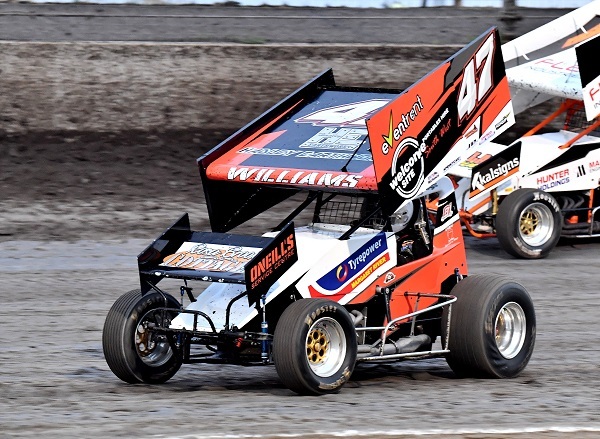 This opportunity came through his uncle Wayne Williams, who owns the # 47 Welcome Site Southwest & Event Rent / Southern Workwear & Ammunition backed Maxim, while the rest of the Williams family, including his uncle Kim, are also involved in Williams’s speedway career. “There’s no way I’d be able to do any of this without my amazing family, who are my biggest motivators,” added the racer, who resides in the town of Rosa Brook, located just outside of Margaret River in WA. 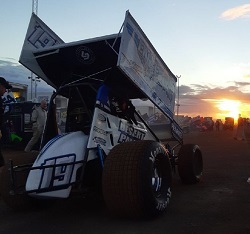 Enjoying a short break, Williams will next be in action on Australia Day (January 26) with the next round of the Limited Sprintcar Association of WA Series at Geraldton City Speedway. 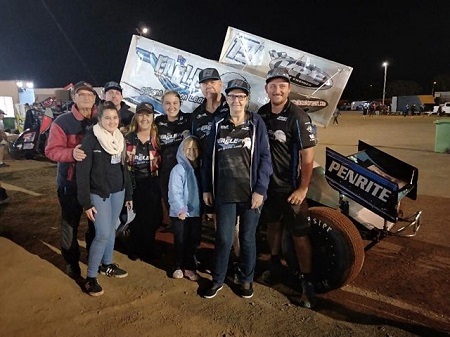 He will then be racing at Kalgoorlie International Speedway on the Saturday night of February 16, followed by the Western Australian Title at Narrogin Speedway on March 3. Special thanks go to his parents (Jock and Lynda), Uncle Wayne, Uncle Kim, his fianc�e Jess Crawford and their two sons: Izaak and Jaxon, along with his pit crew, family and friends for all their ongoing support. To follow Williams and his team, LIKE them on Facebook by searching Williams Motorsport # 47.